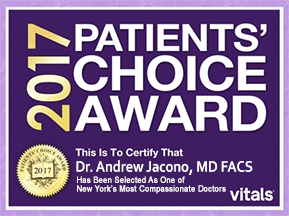 Laser Skin Resurfacing CO2 laser resurfacing patient of Dr. Andrew Jacono discusses her skin resurfacing procedure experience and her results. L.A.S.E.R. stands for Light Amplification of Stimulated Emission of Radiation. What this means is that a laser is an intense beam of light energy that is produced by a material that amplifies light. There are many different types of Lasers and each has specific properties that make it transfer its energy into different types of tissue. For Laser Skin Resurfacing the most effective laser is a Carbon Dioxide(CO2) LASER. As we age the skin undergoes changes in its deeper layers, called the dermis, which results in loss collagen, loss of elasticity of the skin, and formation of fine wrinkles around the eyes (called crow’s feet) and the mouth, carbon dioxide (CO2) LASER resurfacing of the skin results in softening of these fine lines and tightening of the deeper collagen layers of the skin. This procedure has its limitations and will not correct excessive aging skin of the eyelids, brow or neck that are best treated with a blepharoplasty (eyelid tuck), endoscopic brow lift, or facelift. 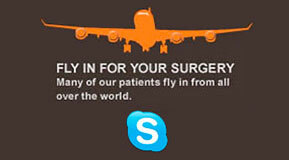 We also perform Fraxel Laser Resurfacing (Click here to learn more). Doctor Jacono performs Dermabrasion, and Chemical Peels in addition to Carbon Dioxide LASER resurfacing of the skin. Chemical peels are acidic solutions applied to the face by a licensed physician. Administered correctly a chemical peel will smooth the surface of the skin, improve tone, and decrease pore size. 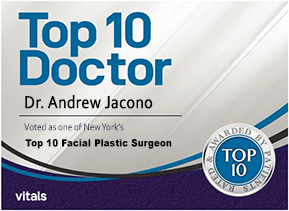 Doctor Jacono performs several types of peels. He performs a medium depth peel with a solution of Trichloroacetic Acid (TCA). The deepest peel is with a Phenol solution. Not all patients are candidates for these procedures due to their pigmentation. Skin pigmentation is classified along a scale from 1-5 (called the Fitzpatrick Scale) with a 1 being an extremely fair person that burns easily in the sun and a 5 being someone of African-American descent. 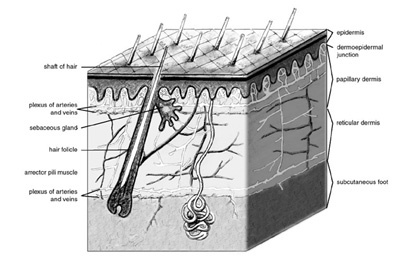 Darker skin types (Fitzpatrick 3-5) can have pigmentary disturbances after certain procedures. Dermabrasion is most commonly performed for acne scarring and deep set lines around the mouth. After carefully analyzing your skin type, the pigmentation of your skin, and degree of wrinkling and scarring of your skin, he develops a treatment regimen that is tailored to your skin and your goals for surgery. These procedures will require approximately a week for initial recovery and the skin will have an extended period of time where it will be pink, up to 6-8 weeks, but this can be camouflaged with makeup. Dr. Jacono carries a full line of hypoallergenic makeup specially designed to cover up discoloration after resurfacing procedures. Skin Resurfacing Patient 1: This patient underwent a laser resurfacing around the mouth for lip line (“lipstick bleed lines”) as well as a lip augmentation with autologous (from the patient) dermal fat transfer. Skin Resurfacing Patient 2: This patient underwent a dermabrasion around the mouth for lip line (“lipstick bleed lines”). For those that don’t require more aggressive treatments, Doctor Jacono will perform more the superficial Obagi Blue Peel™, European Skin Peels, Microdermabrasion and Glycolic Acid Peels and/or start you on a comprehensive skin care regimen. We provide our patients with vitamin supplementation and herbal therapies to maximize healing after all procedures. Appropriate skin care after surgery can help maintain results. We offer only prescription strength skin care regimens that are not available through aestheticians and department stores and provide maximal results.